Reflections: Am I Really Part of the Problem? Last week Kwame and I had lunch with some friends. Kwame is my cousin, and after lunch, we passed by Kwame’s dad’s office to go over some construction drawings for a big contract. As we were discussing the project, Kwame’s dad began one of his monologues on his favourite topic to discuss whenever I was around – “How architects in Ghana have made contractors in Ghana rich because they don’t do detailed specifications”… After asking me for about the thousandth time why I didn’t choose to do business in school., He leaned back and boasted about his latest big contract. He got the contract because of his friendship with a certain government official. The contract would be very simple to “execute” because he would be paid in full at the beginning and after giving 10% to his friend the government official, he would be free to go. No follow ups or anything. The government would simply announce that the contractor had run away and after some months and the process would start again with a different contractor. 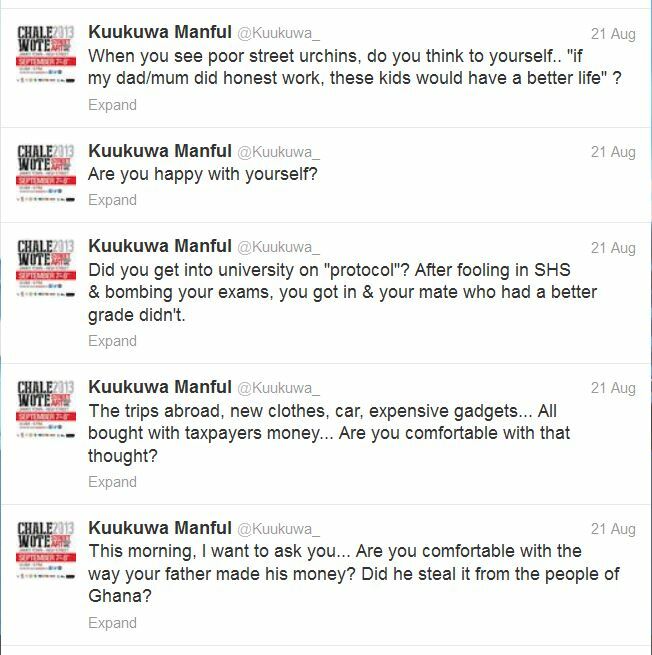 Now, this wasn’t the first time we had heard that kind of story from Uncle Kweku. In fact, our usual reaction was to laugh and make comments like “It’s important to network in Ghana”, “Who you know”… etc.. This time, Kwame and I didn’t feel like laughing at all. We were weighed down with guilt and sadness. You see, Kwame and I pride ourselves on being part of the new vim movement of movers and shakers. The sort of people who constantly complain on Facebook and Twitter about our corrupt leaders and the absurdities of issues like the SADA fund disbursements and the GYEEDA report. And at the lunch meeting with our friends, one of our friends brought a friend that said some things that made us feel very uncomfortable. She (that annoying girl) had watched a historical documentary that traced the origins of the wealth of West Africa’s wealthiest family. Most of them were linked to political parties or governments. The conversation at lunch wasn’t as cheerful and light as we expected, we all started thinking uncomfortable thoughts about our parents’ wealth. Even Awo (her father is a professor) who loudly and proudly proclaimed that her dad was not involved in any form of corruption, fell silent when Kwame reminded her about the grade she entered medical school with. This is the story what my friend Kwame (not his/her real name) told me one night. He was in a sad, pensive mood and when he was done telling me, I felt the same way. What could I say? By this time, I was feeling very uncomfortable too. The next morning, after 5 very troubled hours of sleep, on my way to work, I tweeted the following..
I’m still in a sad and pensive mood. I’ll throw some of Kwame’s questions back to you. How do we live with the fact that our parents, relatives…etc are involved in corruption too? A usual, I’m late again. Now I can’t concentrate because I’m laughing too hard. Some people have gone hard on this naming of teams thing! Ei! Anyway, here’s a round up of the plain funniest + most hilarious, most creative and gasp inducing names I’ve seen so far. Some come from twitter inside jokes, so you gosta understand the joke to get the name. 1. OlutuGbemi – I know what Gbemi means, but who is Olutu and why are we naming teams after his Gbemi? 3. Maame Ne Paapa FC – Maame ne Paapa paa! ad3n? 6. 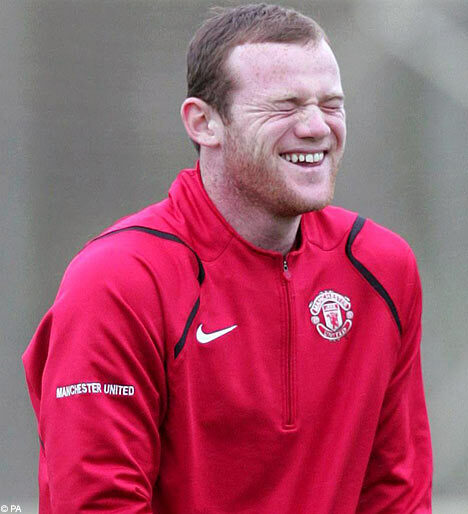 FC Friendzone – Why put your team in a friendzone? why evils? I believe, that some things cannot be taught. These things lie dormant in the hearts and minds of some people, waiting for the right moment to sprout. These things, one is simply either born with or not. Things like compassion, and unconditional love for your fellow human being. To sacrifice your life, happiness, family bonds,etc just to see another person be comfortable/free/healthy/happy..
No, these things cannot be taught. There would be a million Gandhis, Nkrumahs, Mandelas, Sergeant Adjeteys… a million Jesus Christs… but there aren’t. Alas, ordinary people greatly outnumber the extraordinary. So one person, or some people, with (or with a fraction of) the emotional and mental fortitude of these people should rise up and do something. So the ordinary people follow. I’m writing to the extraordinary person, You know yourself. You know what you’ve overcome. You know how hard you’ve worked and how much you’ve achieved in spite of, No, ESPECIALLY because of the odds stacked against you. I write to you because Ghana really needs you right now. We have about 20 million constant complainers, about 10 million who have given up on Ghana and are looking for a way out (with regular Christmas holiday trips back home of course). There are about 18 million people who know that the government is to blame for our troubles and KNOW that there’s nothing we can do because we are all doomed. We’ve got 21 million people who just want to carve a comfortable life for themselves and their families and can’t be bothered what happens to the rest of the country. We’ve got 22 million who are really really lazy. Oh, and the five million who pretend to care. I write because I know you have drive, and talents that you can use to help create change. If you’re having one of those days where you feel like you’ve bitten off more than you can chew, or that saving the world is not easy at all… if you’re feeling frustrated because there’s a person or a system somewhere trying to make it hard for you to do something, I write to tell you not to give up, take a break, remember why you’re here. Remember your dreams, and try again. I write to tell you that you’re not alone, that there are others like you who want change too. Others like you who want Ghana to work. If you need help finding them, ask me, I’ll show you. I write to tell you that what you’re doing is not too small. If you’re a teacher working hard to improve the lives of your students, helping that bright student who needs just a little push, keep doing it. If you’re a scientist, pursuing projects that your supervisor told you to drop because there’s no funding, or because it’s impossible, keep doing it. If you’re working in an institution where it seems you’re the only one refusing to take bribes, come late to work, close early, or skip work anyhow, keep doing it. If you’re a lawyer, doing pro bono work, taking the time on rickety troski rides to educate your fellow passengers and reducing the reach of the party propaganda machinery, keep doing it. If you’re doing honest business, paying your taxes, providing quality products and good service, aiming for excellence, keep doing it. If you’re a student, making an effort to educate yourself instead of waiting for your teacher to lecture you, or for the government to change the educational system, keep doing it. If you’re an artist, making art to uplift the soul, to inform, to educate, keep doing it. If you’re an architect, turning away lucrative jobs because you’re doing pro bono work for a village or NGO somewhere, keep doing it. 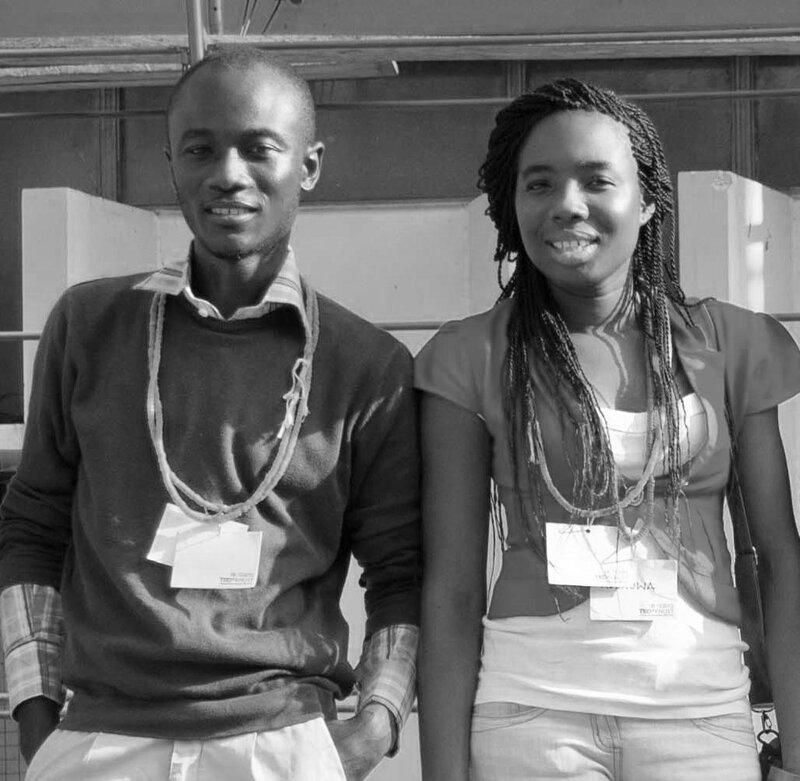 If you’re a social entrepreneur, making Ghana better one step at a time, keep doing it. If you’re a doctor, working hard even though your colleagues are “doing locum” because there’s a strike, keep doing it. If you’re volunteering for good causes, spending your own time, money, energy… keep doing it. If you’re a writer, commenting on society, sharing your opinions, even when they seem dangerous, keep doing it. If you’re a reader, oh if you’re a reader! Keep doing it. 31st July, 2013 marked the last day of one year of National Service. I can honestly say I enjoyed it and gave off my best. I decided to go into National Service with a good, positive attitude, and even though at (many) times, I had to (groan) remind myself to be positive, I enjoyed it, and I have learnt so much. Thank you National Service Secretariat and Mr. Vincent Kuagbenu (They should not have sacked you)! The registration process went rather well… Just that my friend Sarpong and I registered late because … of… reasons… So when the postings came out, even though our department had asked us to stay on as teaching assistants, we were scared we were going to end up like this guy who got posted to a mortuary. When the postings finally came out, we got posted to the KMA and Town & Country planning respectively, which I hear is a good posting if you want a year of R&R with a monthly allowance of about 240 cedis… but the Department of Architecture at the Kwame Nkrumah University of Science and Technology (KNUST) said WE WANT YOU!, and got our postings changed… so what could we do? We blessed them with our awesome genius awesomeness. Life as a teaching assistant was really cool, and my class was so good that discussing design schemes left both T.A. and student feeling très bien. I learned so much from them. No wonder some of the freshest, best ideas ever come from architects who teach. I entered National Service in a government institution with very low expectations. 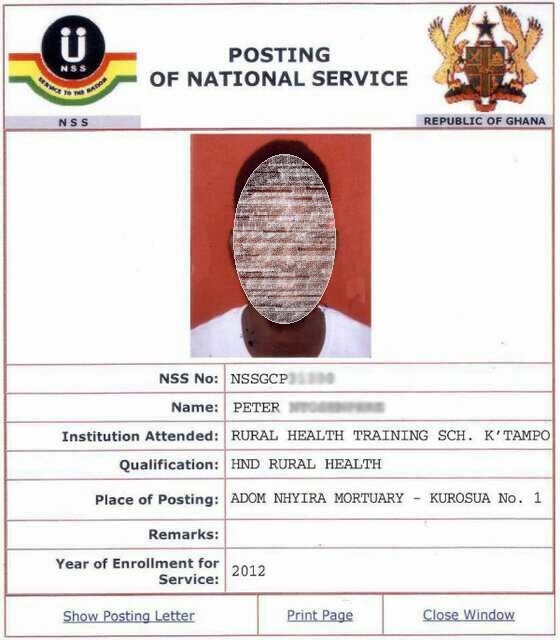 I expected to get my allowances very late, I expected to have to join long queues to get those allowances, I expected to encounter many, many frustrated and therefore rude douchebags rude people in the National Service Secretariat (NSS). Allowances were never paid late. By the end of the month, and in fact most times 5 days before the end of the month, allowances were ready! I was actually the one who was late in collecting (which led me to meet one of only two rude people encountered in the entire NSS. Very manageable!) Queues? Well, service personnel who were working at KNUST usually had officials coming to them at the University’s Great Hall or had a special KNUST table at the NSS. So no long queues for us. Morale: Work hard and become a TA, Or try and get posted to the library or one of the department offices. The only drawback was the mode of paying through EZwich, which is not NSS’ fault, but the government’s, for starting a service they cannot maintain (as usual). The EZwich ATM on campus didn’t and still doesn’t work. The closest ones were in Asafo and Adum (which is pretty much a long way to go to use an ATM) and most of the banks always had a problem with the “system” being “down”. 1. It’s called National Service for a reason. STOP complaining and Go and serve! 2. Just have a positive attitude and I promise you will be surprise with how much you take away from National Service. One day I’ll tell you about my friend who got posted to a village school, did his job so well, that when the… (Is this my story to tell? 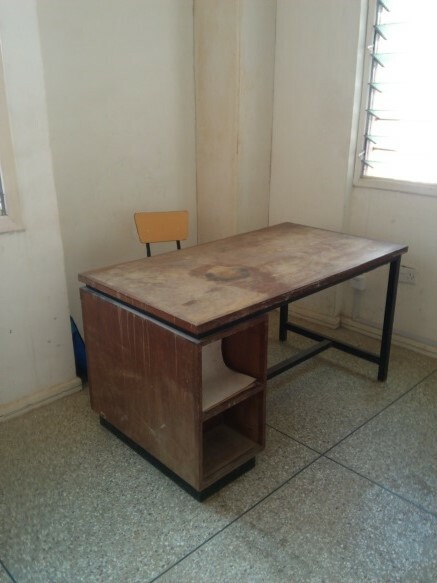 Perhaps not) _______ Foundation came to Ghana, the CEO met him and offered him an amazing job. 3. Learn to live on 240 a month.